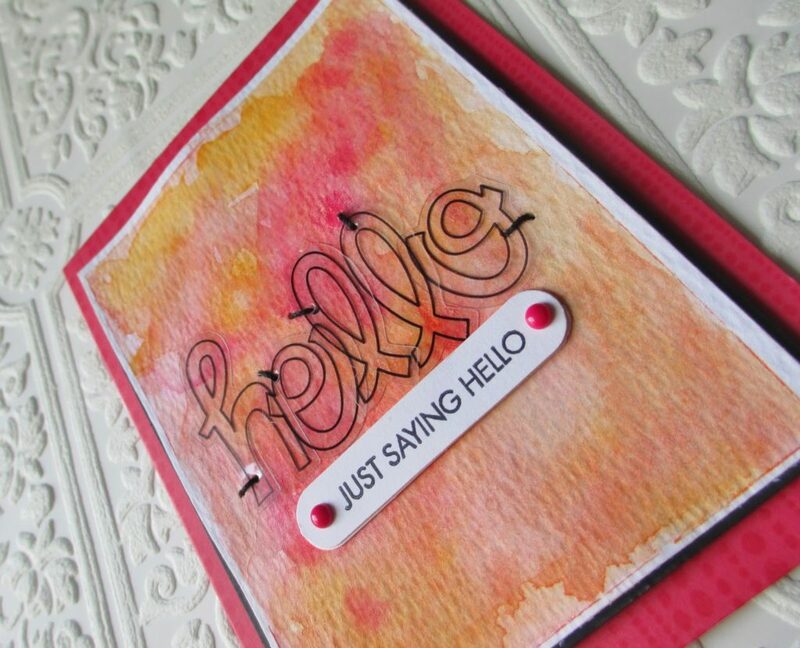 That greeting is from an all time favorite stamp set of mine that can be found HERE. I love how the font works with any style of card. 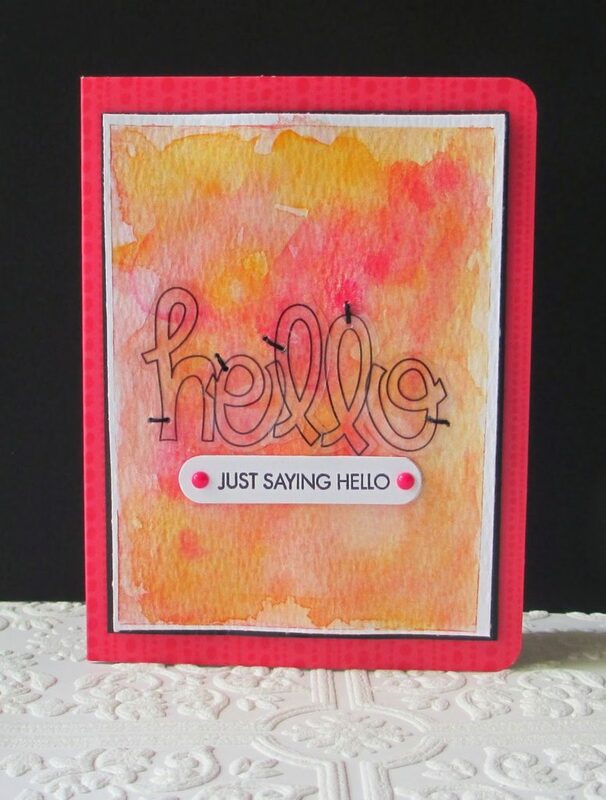 For the finishing details… I added some pink enamel dots to draw attention to the smaller greeting, adhered a black mat behind the watercolor piece, and adhered it to a pink notecard after stamping THIS background on it. I’m thinking those clear letters might be fun with some coloring behind it. I’ll have to try that. Well that’s it for today. I hope I’ve inspired you to try some simple hand stitching on your next card. Thanks so much for stopping by.